Welcome to day 2 of my annual Homeschool Curriculum Sale!! I’m doing a ton of giveaways this week, and offering a massive sale in my store, so if you’ve been waiting to get my curriculum, the time is now! I only do this sale once a year, so don’t wait! AND…I’m doing a different giveaway each day, so if you missed my previous posts for this week, you may want to go back and enter to win! 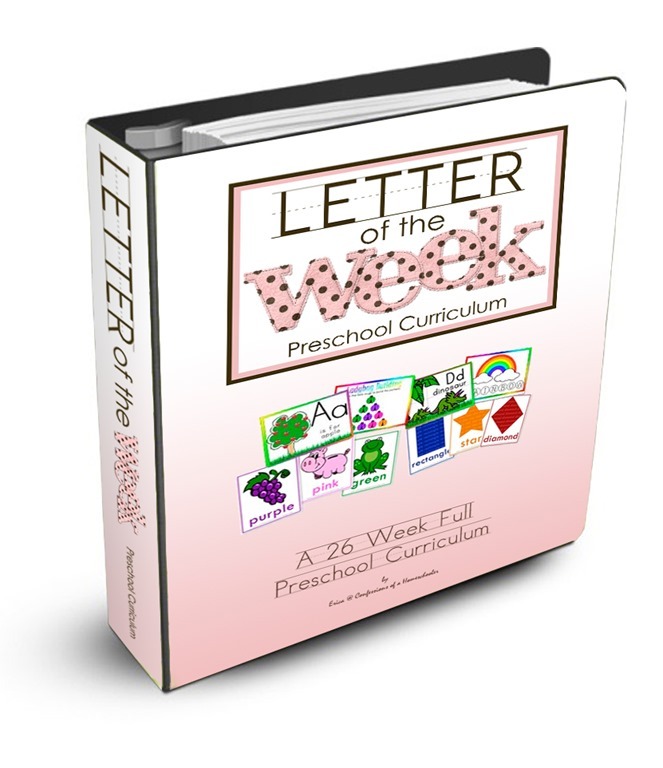 Preschool Curriculum: The Letter of the Week is a full 26 week preschool course designed to give your student a head-start on preparing for kindergarten! It is a 26 week curriculum that’s full of educational activities that focus on the letter recognition, sounds, number recognition, counting, basic math skills, pre-writing practice, and all the necessary fine-motor skills that will be required for your preschooler to be ready for kindergarten! Included are 26 weekly lesson plans that guide you through each day. 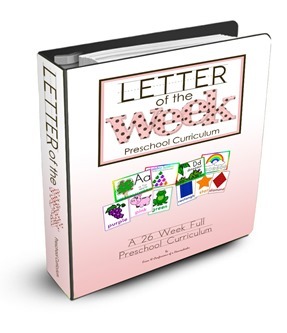 Click here for full details on the Letter of the Week preschool curriculum. 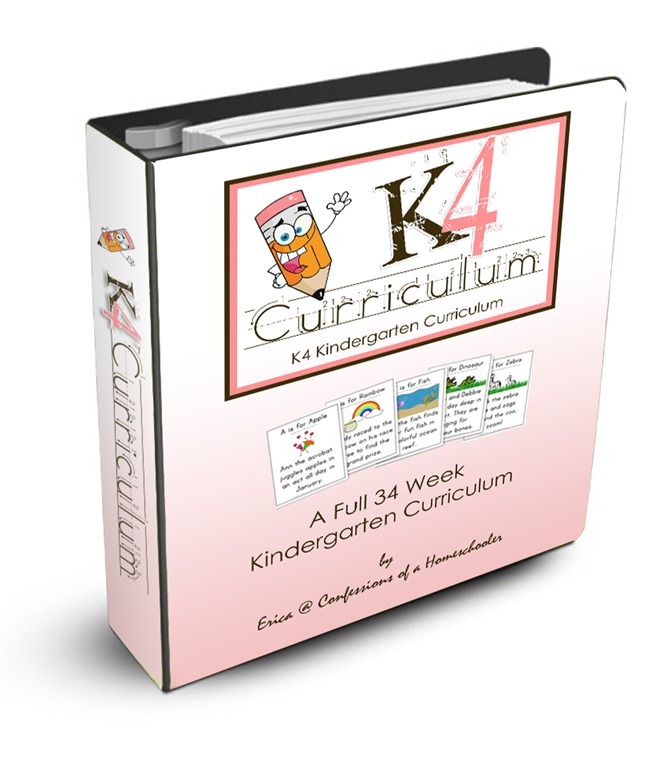 Kindergarten Curriculum: Following the Letter of the Week, I have a K4 Curriculum is great for kids age 4-5 who are ready for Kindergarten. The curriculum introduces beginning reading, math and handwriting skills that will give your student a huge advantage as they proceed through their elementary years. Upon completion of this program, students will have a basic understanding of simple addition and subtraction, place value, basic 1 and 2 vowel words, and beginning reading skills, logical thinking and much more! With this curriculum you also receive 34 weeks worth of daily lesson plans to help guide you through a full year kindergarten skilled activities. 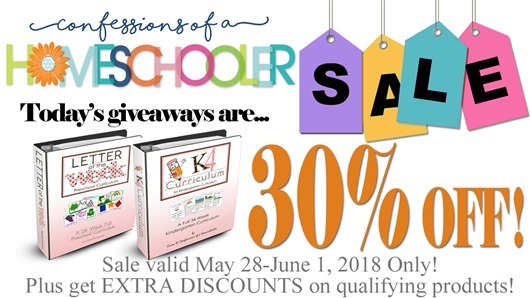 This sale is valid from May 28-June 1, 2018 ONLY!! I apologize to anyone who has purchased prior to today or who may miss this sale, unfortunately the sale prices are only effective for purchases made during the week of May 28-June 1, 2018 ONLY. Today I’m giving away one copy of my Letter of the Week PDF and one copy of my K4/5 Kindergarten PDF curriculum! I’ll pick two winners, you choose which one you want!